One of the ways you can share your project with others is with the preview URL. Start by clicking on the share icon. 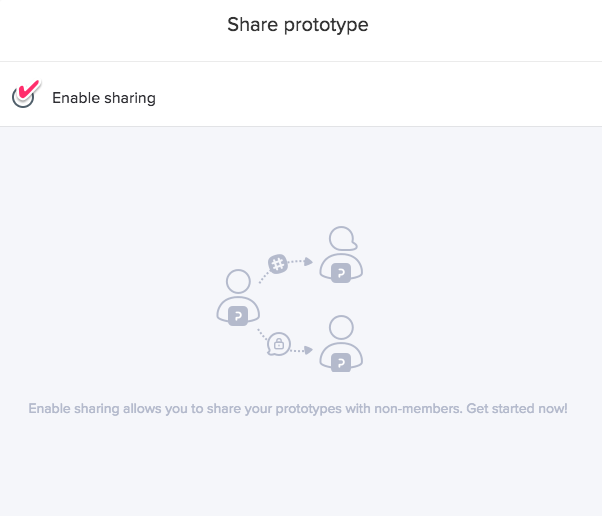 Click where it says, Enable sharing. 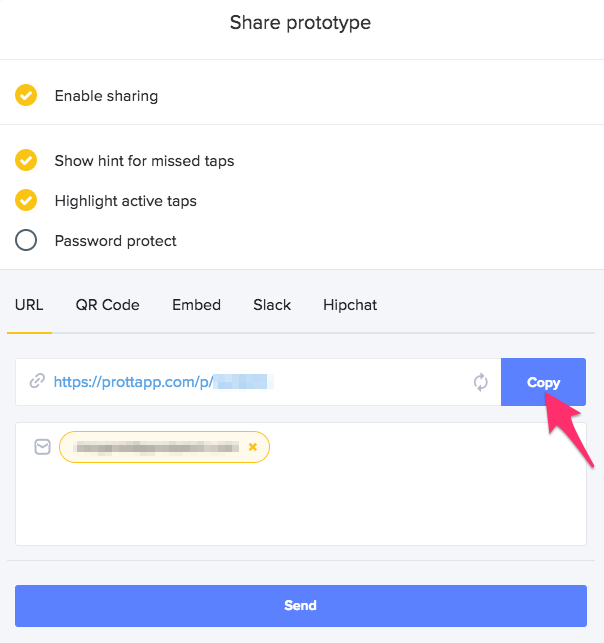 The preview URL of your prototype will be displayed. Next to your preview URL, click Copy. Share your preview URL on chat. If you want to email it, enter the person's email address and press Send to complete! Have the person who's going to be reviewing your prototype download the Prott Viewer for iOS or the Prott Viewer for Android. Let them know that there's no need to create an account. All they need to is just download the Prott Viewer app and tap your preview URL and start previewing away.